Welcome to Holy Spirit Catholic School in Brighton. At our school, you will find an encouraging mix of strong traditional education and solid Catholic formation for students in P-kindergarten through 8th grade. We offer exciting opportunities for a Catholic education where our students strive for excellence in their pursuit of knowledge and virtue. At Holy Spirit, your child will master academic fundamentals, explore creative and critical thinking skills, and experience a rich sacramental life. All of this is accomplished in partnership between our families and our dedicated, highly qualified teaching staff. We also are thankful to be able to offer our families and students outstanding facilities in our recently completed school building. 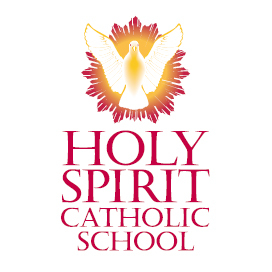 If you are interested in a Catholic education for your child where faith, culture and life come into harmony, please contact Holy Spirit Catholic School. 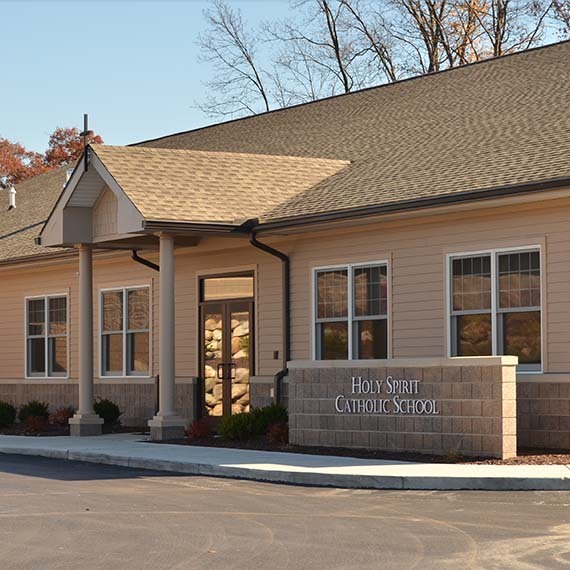 Holy Spirit Roman Catholic School offers a distinctively Catholic formation of children and youth through excellence in education while maintaining loyalty and obedience to the magisterium of the Church. Our curriculum emphasizes each student’s mastery of the fundamentals of reading, writing, computation and critical analysis skills. Students also are encouraged to develop their creative abilities and participate in classes in physical education, computer, music, foreign language and art. Highly accredited staff, low student-to-teacher ratio, and a nurturing environment work together to help students succeed as evidenced by strong standardized test scores. Students at Holy Spirit Catholic School experience a rich sacramental life that includes daily Mass, First Friday Eucharistic adoration, catechesis, celebrations of the liturgical year, and opportunities for Christian service and community outreach. 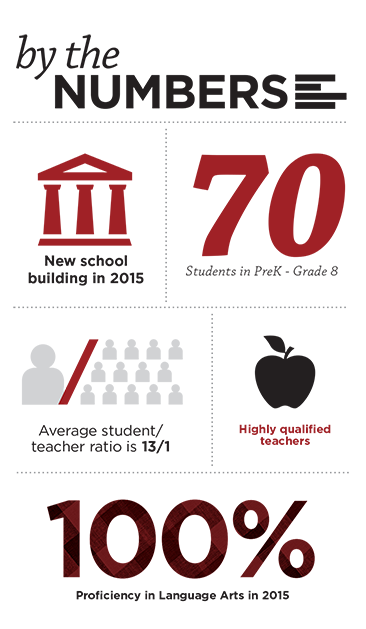 Students also are introduced to various forms of prayer and worship, as set forth in the Catechism of the Catholic Church and found in sacred Scripture. Holy Spirit Catholic School is a strong family-centered community. In 2015, our parish and school families raised over one million dollars to construct a new school building on our beautiful 38-acre campus. At Holy Spirit, we strive to make Catholic education affordable and offer both parish and diocesan scholarships to assist families.